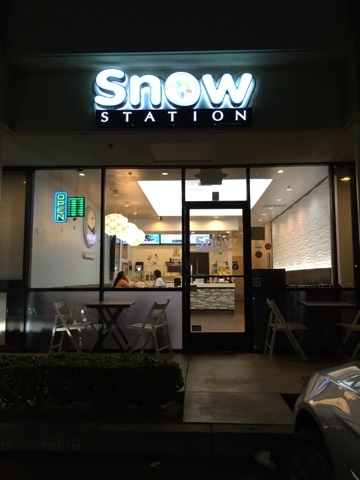 The original Snow Station location, and I finally made it to this one after trying all the other locations in Orange County. It’s tucked away off the corner of Brookhurst and Bolsa, next to a tech and gadget store. The store isn’t facing the street but find a Tapioca Express and it’s just down the driveway. 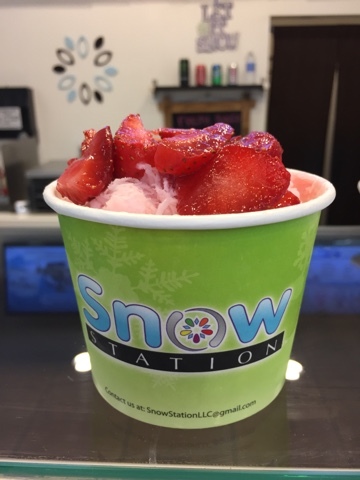 I think Snow Station makes the best Taiwanese Snow in Orange County. It’s so fluffy, and yet creamy like ice cream. 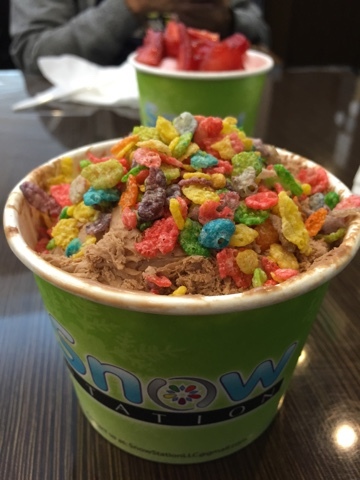 The price point is fair, and the serving for the snow is generous, although the serving for toppings can be hit or miss, depending on who serves you. What I didn’t like was that staff disappearing in the back as soon as they are done serving you. They make the place look like its closed from the street. I’m sure they must monitor the door as 2 employees come out as soon as you enter. Also, being “20-something” guys, customer service isn’t their strong point. They do their job, but they don’t really help you pick out a combination that would be good for you. They do serve up the Snow quickly and then retreat to the back room doing who-knows-what. I had no clue (until I was about to leave) that there were 3 staffers working the place, as 2 guys and a girl came our for a customer. 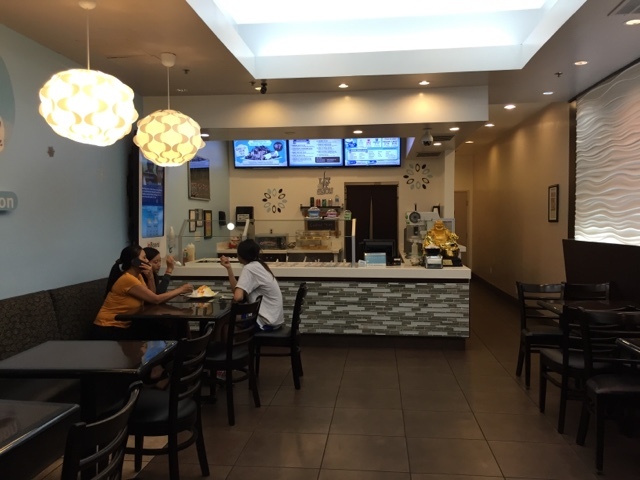 Who knows… There could be more staffers, but they retreat to the back as soon as the customer is served. This place does not offer a Yelp or Facebook check in special like Los Alamitos or Buena Park does, and no TV monitor to enjoy your Snow. Quality is still great! Just didn’t care to feel neglected inside a quiet store in the middle of a dark strip mall. I think I’ll stick to the other locations. Inside – where’s the staff?